Our company is one of the renowned service providers of Computer Accessories. You name it and we have it. 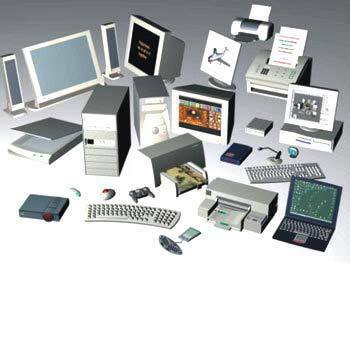 We provide all types of input devices, output devices such as monitors, printers, keyboards, speakers, scanners, headsets, graphics cards, motherboards, hard disks, storage devices and many more as well. All of these products from our side are thoroughly tested and are compatible with wide range of brands and configurations. We make sure that we assemble these correctly for our customers in order to ensure hassle free usage and ease of installation. Upserve Power Systems started life as a Supplier firm of reliable quality Power Products in the year 2008. From over 7 consecutive years of success in the industry, we have managed to cater a wide product portfolio, which includes next generation UPS & Inverter, UPS System and Voltage Stabilizer. Our company began the process of delivering quality by conducting rigorous market analysis, and today we are synonymous to trust due to our reliable product offerings that are energy saver, user friendly, maintenance free, and serve for a longer time. Moreover, our commercial footprints is enlarged with a rapid stride, owing to the commitment and diligence of our professionals, who are instrumental in rendering timely maintenance services to a wide number of clients across the country. We trade under the brand name of APC and Exide. We believe the driving force behind our success is the focus and dedication of our team leaders, who encourage our people to earn a steady growth by anticipating the unmet end-user needs. Since the inception, we have implemented a business model that complements the core of our founding principles, and equips us to bring forth products of the world renowned brands. Further, from small beginnings, the company has now grown and furnishes quality products and maintenance services to a huge clientele. Some of them are, Infosys Technologies Ltd., HTC Global Service India Pvt. Ltd., and AREVA India Ltd.